"There can be no democratic choice against the European treaties." - Jean Claude Juncker, EU President. Of all the arguments about the economy, global influence, sovereignty, immigration and so on, the deciding argument for me is the one of democracy, and the EU's apparent aversion to it. It is apparently somewhat of a running joke on the continent that were the EU applying to join itself, it would be refused on the grounds of being insufficiently democratic. The European elections that so few of us actually take part in, send MEP's to represent us in the European Parliament. However, unlike every other elected parliament on the planet, this one has no power to introduce, amend or repeal legislation. That is the sole purvey of the European Commission, comprised of unelected officials. Indeed, commissioners are often people who have recently lost elections (Juncker, Peter Mandelson, Neil Kinnock and so on), never mind won them. The lack of any direct responsibility to the people over which they rule - and the lack of power for those people to remove them from office should they be judged to be doing an insufficient job - means that the commission has no backstop, nothing to prevent it from imposing undesirable legislation upon the people of Europe. The EU's aversion to democratic process doesn't rest with the way in which it makes it's laws. On those occasions in which the people of Europe have been consulted, they have often been roundly ignored or indeed, asked again in order that they might produce the 'right' answer. When the Danes voted No in a referendum on the Maastricht treaty in 1992, they were asked to vote again a year later, the subsequent Yes vote leading to riots in Copenhagen. The Irish rejected the Treaty of Nice in 2001 and were made to vote again in 2002, following a sustained pro-EU campaign. Both the French and Dutch electorates voted No to the EU constitution, a clear rejection of the federal European project that document signified. 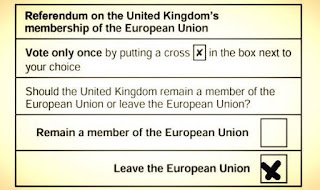 The EU came back with a reworded constitution in the form of the Lisbon Treaty ("the constitution in all but name") and subsequently foisted it on those that had rejected it in it's previous form. The Irish to their credit, again held a referendum and voted against the ratification of the treaty. They were made to vote again. More recently, 61% of the Greek electorate voted to reject the terms of the euro bailout but were again roundly ignored. It remains to be seen what the EU's response to the recent Dutch referendum will be. Voters there rejected a treaty that would result in closer economic and political ties with Ukraine. Although the treaty has been signed, it has yet to be ratified in the Netherlands. For what it's worth, the Ukrainian President has said that his country will continue to implement the association agreement regardless. However, it's not just the electorate that the EU considers inconvenient. In 2011, both Greece and Italy saw democratically elected governments removed and replaced with Brussels-appointed technocrats. In Greece, Prime Minister Georgios Papandreou was replaced by former European Central Bank member Lucas Papademus following Papandreou's public commitment to hold a referendum on the EU's bailout proposal. This act of consulting the people was roundly condemned by a whole host of European leaders eventually leading to Papandreou standing down before Papademus was appointed to implement the EU's reform agenda. This so called 'caretaker' government was at least comprised of members of the two largest parties in Greece. The same could not be said for Italy. Following Silvio Berlusconi's resignation after sustained pressure from the EU, former European Commissioner Mario Monti was appointed to introduce a whole range of reforms. His government was entirely technocratic, containing not a single party representative or parliamentarian. "We all know what to do, we just don’t know how to get re-elected after we’ve done it." 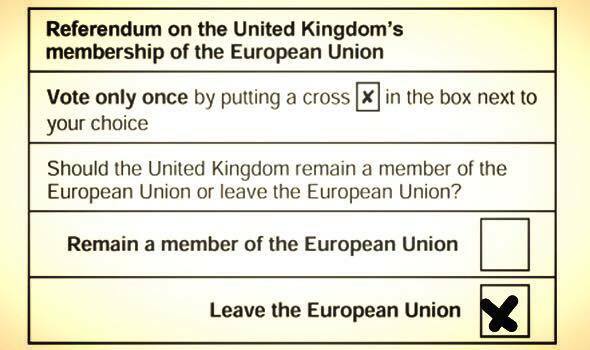 It is those two final questions where the EU falls catastrophically short. The EU commission is accountable to no-one as they are not an elected body, and because they are unelected, they cannot be removed by the people of Europe. So regardless of how you think governments should run, regardless of your theory of government, regardless of your politics, if you believe in democracy and the power of the people to change their government and to hold their elected representatives to account through the ballot box, voting to leave the EU in June is the only way to safeguard that power.